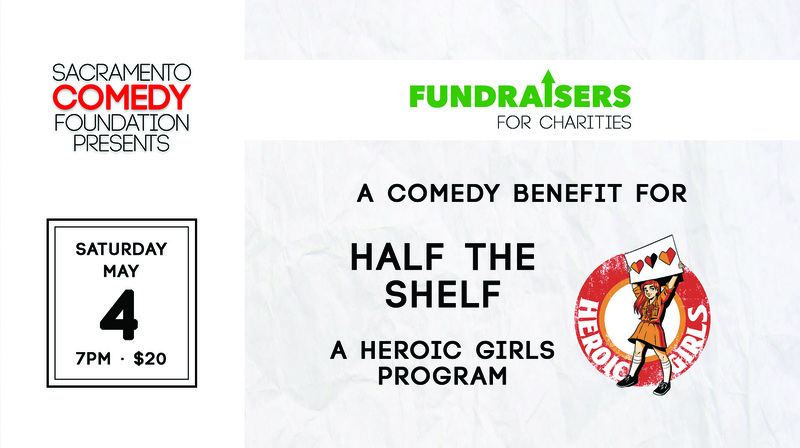 Sacramento Comedy Foundation presents a comedy show to benefit Half the Shelf, a Heroic Girls program! Stay tuned for the performer lineup. Heroic Girls is an organization dedicated to empowering girls by advocating for strong role models in alternative media -- particularly comics. Half the Shelf is a program encouraging teachers, librarians and parents to give children gender balance in the media they consume. Specifically, we ask that half of the literature offered in classroom libraries or assigned to kids in school is told from a female perspective. To learn more about Heroic Girls, visit heroicgirls.com.